*English is bellow the picture, you can translate into your language easily. As I continuing my journey, I’m in Kyushu area, the western part of Japan. Historically this Kyushu area has been regarded as the borders with the Korean peninsula and the Chinese continent. There are many islands here, and it’s necessary to cross the sea to reach those islands. When I throw my luggage into the second-class cabin of the ferry and look at the infinite horizon from the deck, I fall into an illusion as if I am freed from any gravity and get mobility. A journey with only one trunk is certainly light and romantic. But it’s still tied to real life, and if I open my laptop or smartphone, my office will always appear there. It’s difficult to completely block the gravity because most of the funds needed for my life depend on the work from metropolises. In this article, I would like to think about this “mobility” and “gravity” with you who will start theater from now on. The word “mobility” is already often used in discussions about theater. And about the other word “gravity”, for the moment I will define it as “force to connect someone/something to a certain place”.If you blindly believe that you can only use Japanese language, you will be caught by “the gravity of Japanese-speaking area”, or if you think that you can only work in Tokyo, it will be difficult to get out of “the gravity of Tokyo”. The rise of mobility of theatrical artists and producers is a well-known fact already in the world. 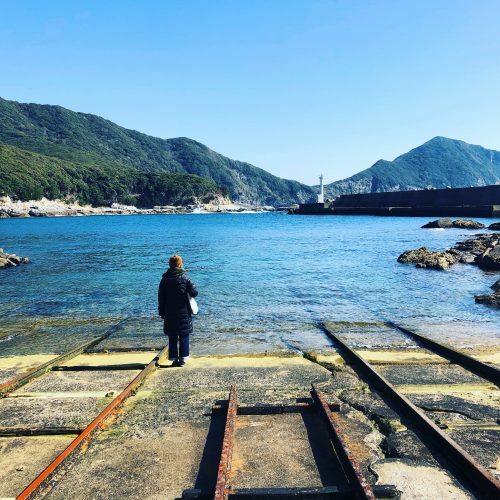 Due to several factors such as Artist-in-Residence (AIR) which has been popular in theater scene since about 10 years, it became usual for artists to temporarily leave their base and stay in another place. Unlike a tour with repertoire works, in AIR artists often commit more deeply into the local area. Their projects dig the histories and stories of the local area as subjects and sometimes involve the local people. But, in the 10 years of these AIR, it was not that they were freed from any gravity, but rather they were facing new gravity. The problem arose as to what kind of relationship to create with the local people and communities. I will not go into this complex issue deeply by this article, but I have seen some cases where the artist gets hurt. Each artist has tried and failed how to live with the gravity in various local places. I would like to emphasize the fact that it’s only an illusion if you think you can avoid gravity by acquiring mobility. Everywhere on the earth has its own gravity, and through laptops or smartphones, it tracks you to the edge of the earth. So what do you do? Do you just throw away your mobility and focus on facing a single gravity? That might be going to lead you to a simple and happy theater life. When you stay in a single gravity and aim for a central position, it may be a shortcut for status, money and power. Of course the fact that theatrical artists are now living in the “gap” of multiple gravity will also affect the content of their works. From now on, theater will be dealing with themes and motifs that can not be overtaken only by subordinating to a single gravity. It should also affect you who will start theater from now on. Where do you live, what do you see, what kind of theater do you start? For me, in this journey to Kyushu area this time, I’ve touched several gravities and discovered various things in the “gap”. 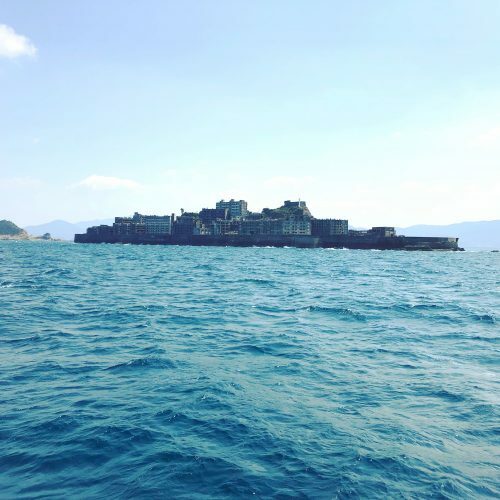 For example, when I visited islands of Tsushima, Iki, Hirado, Dejima, and Hashima (Gunkanjima), the experience changed my mind about “island. Some people often says “Japan is an island country”. It’s described as a metaphor that means insular. “Island” is often viewed as isolated and closed places. However, actually it’s not a dead end, but a path from somewhere to somewhere. And this fact is not limited to small “islands”, it should be the same for huge continents. Every land is a path where someone/something has passed by. In other words, no matter how strong gravity lands, there are always traces of past mobility. This idea may be a clue to deconstruct gravity and gaining a new perspective. Q2) Why do you think so?